Are you like me? Are you tired of looking at cookbooks and seeing recipes that take up an entire page or, worse, more than one page with long lists of ingredients that will require a trip to the grocery store and also blocking out a period of time on your schedule so that you can actually prepare the dish? Those kinds of recipes are interesting to read but are impractical for the most part. I don't have the time or motivation to pull off those elaborate recipes and I'm guessing that you don't either. That's why we need a cookbook like Gooseberry Patch's Simple Shortcut Recipes in our lives. It is filled with simple, delicious recipes that require very few ingredients and very little time. I love to take shortcuts in my cooking. Store-bought rotisserie chickens have become my best friends lately. In this cookbook, you'll find plenty of recipe shortcuts as well as helpful time-saving tips to make your cooking and your life easier to manage. The cookbook is divided into six chapters: Beat-the-Clock Breakfasts, Simple Soups, Salads and Sandwiches, Fast-Fix Sides and Breads, Dinner Express, Oh-So-Easy Entertaining, and Piece-of-Cake Desserts. 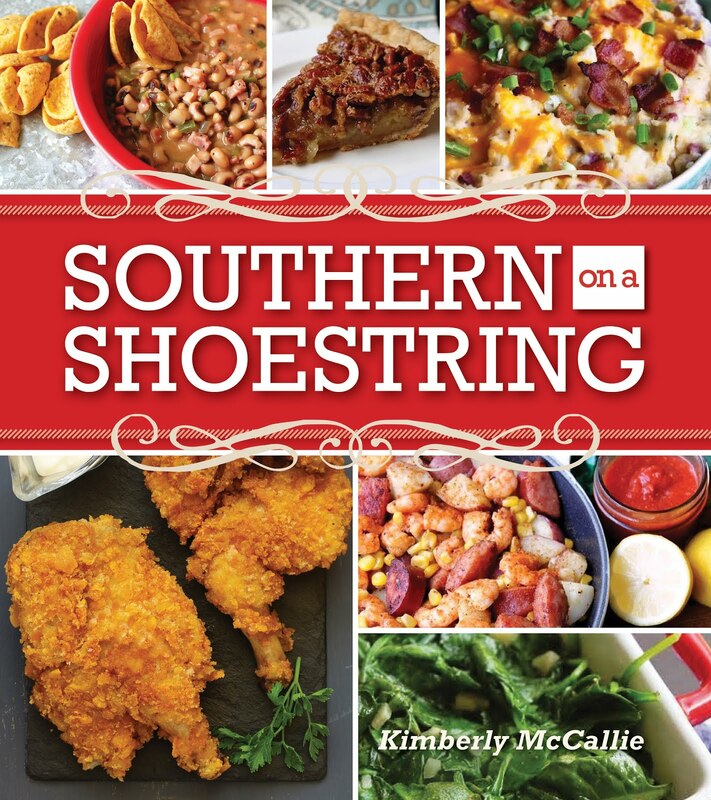 Each chapter holds tempting recipes such as Hearty Sausage Squares, Margarita Chicken Soup, Sweet Onion Casserole, Tybee Chicken, Mingling Mini Quiches, and Creamy Lemonade Pie. Because there are so many wonderful recipes in Simple Shortcut Recipes, I’ve decided to feature them throughout the month of March. Let’s start with appetizers (my favorite course). 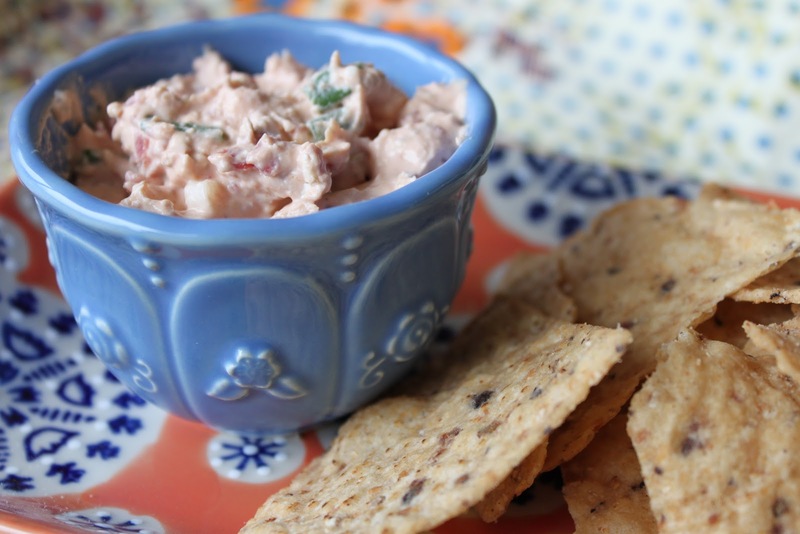 Combine all ingredients except cream cheese and crackers in a bowl. Cover; refrigerate overnight. To serve, spoon sauce over cream cheese; serve with crackers. Serves 10 to 12. 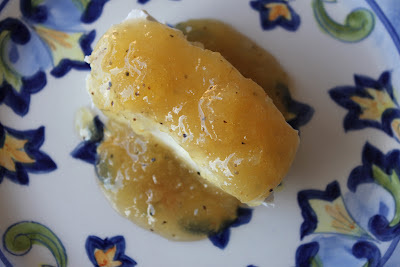 In a bowl, beat cream cheese and picante sauce until smooth. Stir in remaining ingredients. Cover; refrigerate before serving. Serves 10 to 12. ﻿I am so fortunate to have been asked to review Gooseberry Patch’s Simple Shortcut Recipes and want to share my good fortune with you. Gooseberry Patch has sent me an extra copy to give away to one of my readers. If you would like to ﻿enter to win a free copy of the cookbook, you may enter by simply choosing to follow my blog through Google Friend Connect, Linky Followers or Networked Blogs (in right-hand column) and by commenting on this post to let me know you're interested in the cookbook. Also, include your e-mail address so that I may contact you if you're the winner. If you are already a follower, just leave a comment here letting me know you're interested in the contest. I would love to get a copy of this cookbook. With raising 3 boys who are all in different sports, it is hard to get a good meal on the table. Love your blog! I'm a follower and would love to win a copy of this book - thanks for hosting such a great giveaway. I don't like to leave my email in comments, but you can easily contact me through my blog if I'm the lucky winner (just click on ButterYum). Thanks so much! Of course I follow your blog & Face Book Page! Plus I am a follower of Gooseberry Patch as well! I REALLY want this cook book to add to my collection! I follow your blog through Google Friend Connect, and I'm interested in the cookbook. I follow thru GFC - and seriously, this cookbook has a perfect theme! Simple recipes are the best :) Thanks for the opportunity to win it! I would love a copy of this cookbook! I always like a good shortcut! I'm the director of a rural public library. The staff and patrons LOVE all the Gooseberry Patch cookbooks. We need a copy of this new one for our collection. Would love to win this cookbook. I'm all for shortcuts! I would love to have this cookbook! I am disabled and can't stand for more than a minute at a time so my cooking is very limited. I need easy shortcut recipes so I can do more cooking. This book sounds like something I could get use out of. I have cook books but like you say the recipes are way more then I want to put into it. Love to win this one. This cookbook sounds great!! I signed up to follow you thru Google friend connect! I am new and I just added this to my list I always like new ideas for decorating and other things. I love to bake and try new things as much as possible. I'm a new follower!! YAY!! I'd love to win this cook book, thank you so much for the chance!! I'm going to have a look around your blog. Come visit my blog sometime!! Love your blog! have been following for awhile now. This cookbook looks perfect and I appreciate you sharing it! I follow your blog and would LOVE to win a copy of this cookbook. Please count me in. Yes, I'm interested, please! I still don't have a single Gooseberry Patch book. I would love to own a copy of this book. I follow your blog and facebook page! Id love to win this cookbook to add to my collection! My friend started me off with 5 of the cookbook fro Christmas a few years ago and I've been collecting ever since! I follow ur blog on fb also! This is wonderful that they are giving you a book to give away. Sounds like my kind of cookbook. I found you on flour me with love and I am now going to follow you. Love your blog so far. I just followed you and would love to add Simple Shortcuts to my collection. Thanks!! Oopsie my e mail is destiny.woman@shaw.ca, thanks again! Looks like an awesome cookbook. Who doesn't love shortcuts to make great food?? Gooseberry Patch has the BEST cookbooks! Following you on networked blogs. Exactly the cookbook I need right now. Would love to win one! 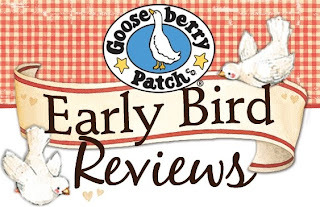 I love Gooseberry Patch cookbooks, and this one certainly looks great for busy moms! I follow on FB and GFC and appreciate the chance to win the GP cookbook. Thanks, Kim, for another great giveaway! Is there ever a Gooseberry Patch cookbook that is less than wonderful? I just don't cook like I used to. I don't put my email in a blog comment so best wishes to the lucky winner! I'm a follower and would LOVE to have a copy of the book! I love Gooseberry Patch and usually make my Holiday menus with their recipes :) Thanks for the great giveaway!! I love looking at and trying new recipe's and always short for time. This cookbook would most certainly help when I'm in a pinch for time. Also, I love all extra wonderful readings in each of the cookbooks as well. Thanks for the opportunity of winning this! I love the thought of possibly winning the give-away of the "shortcuts" cookbook. I love Gooseberry Patch and all the fun "extras" that they have in the book. They not only have fun, easy to do recipes, but the stories and awesome ideas are both refreshing and have all proved to be worth trying! My email address is aliyah.babygirl@yahoo.com. Thanks again! I follow you and I would live a copy!